It is a striking irony that while Marxian ideas were omnipresent in serious intellectual and political circles across the African continent for the better part of four decades following the end of World War Two – in other words, from the late colonial period up to the late 1980s – a full understanding of these Afro-Marxisms and their relation to both theory and practice is almost wholly missing. Of course many academic studies of anti-colonial nationalism – say in Kenya or Senegal – acknowledge the foundational role of organized labor and Left movements; indeed, Nigerian historian Hakeem Tijani (2006) has written an outstanding book, Britain, Leftist Nationalists and the Transfer of Power in Nigeria, 1945-1956, on precisely these movements and connections in late colonial and post-independent Nigeria. Yet it remains the case that a fuller accounting of both country-specific traditions of Marxian ideas and pan-African Marxian connections (including of course to the wider transnational currents of Marxist thought embodied in the Non-Aligned Movement and the Black Atlantic) is sorely missing. It is doubly ironic that while Marxist theory and socialist activism did not simply evaporate after 1989, the fact remains that the complex genealogies of African Marxism are terra incognitae in their countries of origin and fundamentally important Marxian texts are almost impossible to find in the very best African national and university libraries. There are certainly biographies of key African figures on the Left – one thinks of Kwame Nkrumah or Joe Slovo – but so much of the vital, and granular, local histories of Marxist ideas on the continent are almost invisible. Mahmood Mamdani’s (2007) Scholars in the Marketplace, a recounting of the different intellectual and political histories at two crucially important East African universities (Makerere and Dar es Salaam), is in this sense a notable exception. On this canvas we should all be grateful for Adam Mayer’s Naija Marxisms: Revolutionary Thought in Nigeria, a deep (though by no means exhaustive) account of both influential Nigerian Marxist theorists and activists and the historical settings (and engagements) from which they emerged, particularly in the post-1945 period. There is another irony here in the sense that Mayer himself is a young Hungarian scholar who came to Nigeria (with as far as I can ascertain absolutely no background or understanding of Nigeria) from Afghanistan where he was working for an NGO, ending up teaching in Yola in the (civil) war torn region of the northeast of the country which has been essentially leveled by the activities of Boko Haram since the early 2000s. The book – as the author sees it (p.3) – is first and foremost “a history of socialist ideas and of left-leaning thinkers” (a very inclusive category, of course, whose perimeters are often difficult to establish in the book). He properly points out that the Nigerian radical Left is largely unknown outside of the continent (and certainly in the US). If Nigerian Marxists have a currency and visibility in Nigeria – which they do as a casual stroll through Nollywood movies or the major daily newspapers would reveal – “their works are often discarded from public libraries” (p.7). This is a radical understatement. Locating the foundational books described in Naija Marxisms in the country’s elite university libraries is damn near impossible, and bookstores carrying these sorts of Marxist texts have become largely a thing of the past (even in the face of the world class Nigerian fiction writers such as Wole Soyinka and Chinua Achebe, and the ascent of a younger generation of brilliant novelists such as Chimamanda Adichie, Chris Abani, Helon Habila, Teju Cole and Ben Okri). Necessarily Mayer begins with a tour de horizon of post-colonial Nigeria in a chapter, with Dantean overtones, entitled “The Descent” (Chapter 2). The declensionist narrative of Nigeria’s political economy and its rise as a powerful petro-state – the country is a big “crummy family” as Chinua Achebe (2001) once put it – is the standard bearer of much contemporary writing on the country and Mayer is no exception. Beginning with Stone Age cultures, Mayer walks us through pre-European empires, the horrors of slavery, “feudal elites” and colonial indirect rule, the horrors of post-colonial ethno-religious violence and the decent into civil war, the long darkness of three decades of military rule and post-1999 the return to civilian rule which led in the 2000s to the twin insurgencies which arose in the northeast and southeast of the country. As Mayer puts it, the country is “a brawl with no rules” (p.22). This sort of declaration is, of course, associated with much writing on Nigeria and in particular with the so-called “resource curse” analysis which emphasizes three dysfunctions: the Dutch Disease (the appreciation of real exchange rates); volatility (the management of boom-and-bust cycles); and erosion of governance (derived from the absence of checks and balances). But to suggest that Nigeria is simply a fight without Queensberry Rules is a nonsense. No serious commentator will deny the extent of state dysfunctions (and the illegitimacy of many institutions) and the failure of the oil-fueled model of secular national development. But the Nigerian state has been informalised for particular purposes, vested with certain state capabilities and made functional (i.e. instrumentalised through networks, pacts, coalitions) via specific modalities and orderings of power. Clearly the state has not been vested with the capabilities required for fully representational politics, to promote economically productive or socially equitable investments, or deliver public goods – justice, security, services, livelihoods – effectively and democratically. At the same time, the state has grown the capacity of security and control, through both public and private institutions, to co-opt elites while redirecting and patronising popular discontent, to secure oil installations and infrastructure, and to provide the political infrastructure for the system to reproduce itself and withstand shocks. It has become an effective instrument to garner the loyalty of powerful groups and individuals, and direct benefits to particular constituencies; it has enabled extraordinary illicit wealth to be accumulated and secured, with impunity, over time. A persistent record of institutional deficits must be not obscure the fact that the combination of oil and post-colonial nation-building has produced a durable and expanded federal system (including the national rebuilding after the Biafran war), a multi-party (if violent) democracy and important forms of institution building (increasing separation of powers, more autonomy of the judiciary, a gradual improvement in electoral processes and a proliferation of civil society organizations). The petroleum state provoked myriad crises of authority in state and customary institutions, and yet it created forms of public authority with selective capabilities, demonstrating a combination of dysfunction and efficacy. In the name of no rules and brawling power struggles, political regimes in Nigeria have exhibited a striking durability in deploying forms of coercion and consent to reproduce, under both military and civilian regimes, patterns of class privilege and exclusion. Mayer – and a number of the Nigerian Marxists whose work he so thoroughly explicates – miss this crucial point. More productively, Mayer’s book then turns to three broad themes. The first (Chapter 3) is an excellent synoptic overview of Nigerian leftist movements, drawing strong connections to both early 20th century connections to metropolitan Marxist thinkers (George Padmore, for example), to early nationalist party formation in the 1920s, and to what he calls early progressive feminism dating to the 1940s. He is especially good on labor militancy in its various iterations and institutionalized forms up until the establishment of the Nigerian Labor Congress. The first trade union (for civil servants) was established in 1912; an early strike in 1921 successfully prevented an attempt to reduce wages. From this formative history, the first Marxist inspired party, the African Workers Union of Nigeria was established in 1931. In 1943 a group of young men based in Lagos sent a telegram to Stalin congratulating him and the Russian people on their defeat of the invading fascist horde, and in response the Soviets sent pamphlets and books on Marxism to the young comrades. Two years later, workers launched a general strike (for what was then called the cost of living) which in effect thwarted the powers of the colonial state, making independence almost inevitable. The mass nationalist Zikist Movement started the following year also relied heavily on trade union leaders as indeed did the first Marxist party, Amanke Okafor’s Talakawa Party in 1945. The British Communist Party played an important role in the birth of Nigeria’s Marxist parties though equally the British Colonial Office launched a ferocious “McCarthyite” assault on these movements even though they were in no sense within the Soviet orbit. Mayer walks the reader through the early Eastern European styled vanguard parties (for example, the Socialist Workers and Farmers Party), the student and university radicalism of the 1970s and 1980s, periods of popular revolt (the Agbekoya Riots, 1968-1969), women’s protests, union militancy, the wave of New Left movements and Marxist parties of the late 1970s, the rise of left-leaning political parties like the People’s Redemption Party which appeared in the brief interlude of civilian rule (1979-1983), and the popular democracy movements of the 2000s. Even for someone like myself who is reasonably familiar with this history, it is a dizzyingly complex (and sometimes baroque) story of a multitude of groups, parties, movements, magazines, newspapers, and yes even “New Left communes”. The vitality of the Left landscape is astonishing even if the half-life of some of the parties was short, and even if Mayer sometimes draws into his orbit figures and organizations which could only at a stretch be seen as expressions of “Naija Marxism”. The second theme (Chapter 4) places the Nigerian Left on the larger canvas of what Mayer calls “international relations”. Central to these relations and how they shaped Nigerian Marxism and socialist practice was the Cold War. In a somewhat disappointing and rather thin discussion, Mayer neither provides a full sense of Nigeria’s international relations and foreign policy – he says that the most important axis for Nigeria was the “Atlantic nexus” and that the deep hostility toward progressive causes in the country has to be laid at the door of Nigerian elites for whom the very idea of planning ran contrary to their (venal) class interests. The Nigerian Left looked to other sources of inspiration (the Soviet Union, Eastern Europe). Curiously Nigerian Marxism drew little from either UK (Jack Woodis and the British CP) or American communism (William Foster’s labor communism or the W.E.B Du Bois Clubs). Mayer relates an amusing event in the late 1950s when a member of the Communist Party of Great Britain (CPGB) addressing an audience in Nigeria recommended assassinating Nigerian bourgeois leaders to push the struggle for socialism forward. The collective response of Nigerian comrades gathered at the conference was that since the CPGB had not assassinated Churchill, they had no intention of assassinating their leaders. Mayer provides a very short account of why forms of Western Marxism (Althusser, Adorno) carried little weight with the exception of Gramsci (though this is not evident in the biographies which follow). Conversely, the Nigerian Left drew strength from Nkrumah’s radicalism in Ghana and especially from revolutionary figures in Cape Verde, Angola, Mozambique, South Africa, Guinea and Mali. Mayer provides a short history of Cold War and Soviet relations but here he talks less of Nigeria than Africa in general and relies almost exclusively on the work of Zubok’s (2007) A Failed Empire and curiously does not make use of Odd Arne Westad’s foundational work on the Cold War or indeed of a now capacious literature on Cold War intervention including the significant role played by China. A thawing in Nigerian-Soviet relations developed post-Khrushchev in part, as Mayer sees it, because of Russian disillusionment with Africa’s revolutionary potential. New exchanges developed between key Nigeria Leftists (Aminu Kano) and socialist parties, and a Chamber of Commerce was opened in 1969. Russia provided arms to the Federal Government during the Biafran war (1967-1970), some aid for capital projects, for example, the Ajaokuta Steel Mill, and supported many students studying in Russia and Eastern Europe. Yet state suspicions of the Soviet bloc remained; the Nigerian government turned its back on the East after the civil war and in 1976 three leading trade unionists were indicted for “acting in the interests of a foreign power”. But there are in fact precious few details of concrete relations and exchanges between Nigerian intellectuals and activists (or organizations) and the Soviet sphere, all of which points to the need to build upon the tentative story which Mayer tells. Mayer explains that if the elite of the country clearly looked to the US, Nigerian socialists looked to other African radicals such as Amilcar Cabral (of Guinea-Bissau and Cape Verde) or Joe Slovo (South Africa) or to figures such as Angela Davis. Despite a sometimes awkward and tense relation to the USSR, many Nigerian socialists lost an important financial and ideological external backer with the collapse of Soviet communism from 1989. Nevertheless at least two small Marxist groups, the Democratic Socialist Movement (established in 1987) and the Socialist Workers League (from the 1990s) continue to provide organisational homes for many Marxists in Nigeria. Mayer powerfully shows how individual Marxists have made crucial contributions (often at great personal sacrifice during the military period) to the development of a full-throated resistance to both capital and the state. If early Marxisms in Nigeria were Stalinist in orientation, harnessed to a Soviet-East European model of modernization, by the 1990s this model had “lost its appeal” (p.188) and opened up in his view a space for Trotskyist and Gramscian analysis (though there is almost nothing of the latter in the book). Marxist and Left agitation of the sort Mayer describes continues to this day providing (in conjunction with a broader popular front of political struggle) the theoretical foundations for many of the social movements, from Occupy Nigeria, to the massive mobilization over the government’s efforts to reduce fuel subsidies in 2012, to contemporary Nigerian feminist movements. Of course it needs to be said – something which Mayer does not address – that the two insurgencies which almost brought the country to its knees in the 2000s – Boko Haram and the Movement for the Emancipation of the Niger Delta – both explicitly rejected anything like Marxist or radical Left ideologies. The final theme, which constitutes Chapters 5-7 and is in many respects the heart of the book, is an inventory, in effect short intellectual biographies, of major Nigerian Marxist intellectuals, what he terms “activists, historiographers, political thinkers, political economists and Marxian feminists”. It covers a truly vast swath of intellectual, political and ideological belief, some of which on my read is only loosely attached to something called Marxism (including a number of individuals who broke from Marxism later in their lives). Mayer explicitly does not include a number of the younger generation of Left theoreticians currently writing – Sofiri Joab Peterside, Okey Ibeanu, Ukoha Ukiwo, Wale Adebanwi and the recently deceased Raufu Mustapha – or indeed of a cohort Nigerian scholars and activists younger still (for example, Zainab Usman and Elias Courson). This is a pity but quite understandable given Mayer’s priority of explicating the vibrant – and wide ranging – Marxist writing between 1960 and the 1990s by Nigerians largely unknown outside of the country. Naija Marxism provides an outstanding overview of the work of Niyi Oniororo, Ikenna Nzimiro, Yusufu Bala Usman, Mokwugo Okoye, Eskor Toyo, Edwin Madunagu, Bade Onimode, Olufunmilayo Ransome-Kuti, and Gambo Sawaba, along with the work of a handful of collectives and publications. That none of these names are well known in the US or the UK is a testament to Mayer’s book and the labor he devoted to tracking down their work and in many cases interviewing the writers and making use of their own libraries and collections. Collectively these figures represent a wide cross-section of Marxian traditions, from Trotskyism to Stalinism to Marxist-feminism, along with what he dubs “heterodox interpretations” of Marx’s writing. It is impossible to do any justice to the ideas of these writers (or to Mayer’s careful accounting of their ideas). As a gloss one might say that Niyi Oniororo, who died in 2005, was favourably inclined to the so-called socialist states and from the late 1970s was especially critical of what he saw as the co-optation of many Marxist thinkers; Mokwugo Okoye, who died in 1998, was the Secretary General of the Zikist Movement and as a broadcaster waxed lyrical about the student revolt in Africa and beyond; Eskor Toyo, who died as the book was being completed in 2015 and was educated in Poland and a professor of economics at the University of Calabar, penned a critique of Samir Amin and dependency theory combining both Trotskyism and Maoism(! ); Eddie Madunagu is a Trotskyist and was a mathematics professor at the University of Calabar while his academic wife is a well known feminist and columnist for The Guardian, a Nigerian daily paper; and not least Bala Usman was a northern historian from an elite family who provided a powerful and compelling critique of both politicized religion and the relations between ethnic politics and class struggle while deeply immersed in labor and Left party politics. Other figures Mayer discusses – Bade Onimode, Olufunmilayo Ransome-Kuti, and Gambo Sawaba – would only be included in the Marxist camp if one expanded the perimeter of Marxian analysis to a rather preposterous degree even if all operated on the political Left. When all is said and done, there is no question that these Nigerians represented hugely important voices in the struggle for popular democracy in Nigeria. It is deeply admirable that Mayer’s book provides considerable space for the writers to speak for themselves, giving access to work that is often difficult to locate while granting readers a real taste for the depth, sophistication, and wit of the Nigerian Marxist tradition. Mayer’s laudable approach does, from my vantage point, fall short on occasion. Intellectual biographies often give little sense of their engagement with the wider Marxian universe of debate in and outside of Europe (for example, with the articulation and modes of production debate, on the sorts of issues raised in the Anderson-Thompson debate of the later 1970s and early 1980s). There was too a robust intellectual traffic between east, west and southern Africa (there is almost nothing in the book on how South African apartheid and discussions of racial capitalism played in Nigeria, for example). Nigerian Marxism was hardly insulated from either political or theoretical debate across the continent. And perhaps inevitably as someone who has more than a passing familiarity with the work Mayer covers, I do think that he is sometimes wrong footed in his assessments (in his account of Bala Usman, for example, while admiring his work on religious politics he points a critical finger at his “aristocratic background”, his writing in “impeccable upper class British English”, his lack of “internationalism”, and his slide later into life into “ethnic chauvinism” – all claims I would profoundly question). But these are squabbles which do not detract from the importance of Mayer’s book. Naija Marxism will be a tough read for many who are not familiar with Nigeria and its history. It has a fragmented and somewhat disjointed structure, and the heart of the book consists of a series of potted biographies of major figures (properly granular and detailed but something of a slog for the non-expert). All that said Mayer’s book has no equal and he is able to offer up in an unequivocal way a set of powerful arguments. One is the vitality and heterogeneity of the Nigerian Marxist tradition and its rigorous engagement with the hugely diverse forms of capitalist accumulation and exploitation in post-colonial Nigeria. Another is the crucial links between the Marxist tradition and the formation of the Nigerian workers’ movement, including the Nigerian Labor Congress, as well the Nigerian student movement, and a nascent feminist movement. 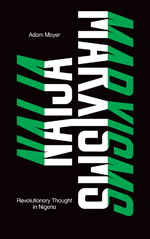 In this regard the book points to the need for Nigerian Marxisms of various stripe to address the current neoliberal conjuncture and the contradictions within the system of oil-fueled fiscal federalism, and in particular the sorts of politics (often violent and undisciplined) which have emerged from a massive social class of youth unmoored from all forms of legitimate authority (whether state, customary or civic). As Joe Trapido (2015) put it describing the violence in the Great Lakes region, Nigeria capitalism has incubated a vast quanta of “masterless men” distinguished by the fact that they are not simply poor and expelled from the market order but from virtually all forms of political order too. Mayer concludes with the observation that class remains central, that a Nigerian proletariat stands “at the heart of resistance” (p.191). Perhaps, but class politics assumes complex and prismatic forms. One does not have to necessarily agree with Mike Davis (2004) on the slum world politics of the Global South (the politics of the Holy Ghost as he puts it rather than proletarian revolution) to acknowledge the deep challenges, both theoretical and political, confronting Nigerian Marxisms capable of offering a plausible political program for the 60% of the population – some 100 million people after all – who constitute the country’s rural and urban dispossessed. 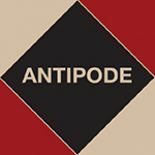 This entry was posted on 5 January 2018 by Antipode Editorial Office in Reviews and tagged activism, African Marxism, Afro-Marxism, China, cold war, communist parties, Communist Party of Great Britain, Gramscian thought, intellectual biography, Left movements, leftist intellectuals, Marxian theory, Marxism, Nigeria, Nigerian feminism, Nigerian Left, oil, petro-states, post-colonial nation-building, socialist feminism, socialist parties, student movements, the petroleum state, the Soviet Union, trade unions, Trotskyism, Western Marxism.